The UN General Assembly is going to hold its annual session on 7 September 2018. The gathering will bring thousands to the U.N. against the backdrop of increasing executions in Iran just as the U.N. General Assembly meetings convene. The Association of Iranian American is going to announce to the world that Rouhani does not represent the people of Iran. He is a murderer like Khomeini and Khamenei and other leaders of the Iranian regime. Rouhani directly involved in the repression and killing of Iranians. The Association of Iranian American also calls on the United Nations to hold Iran’s rulers accountable for their crime against humanity. Many human rights activists, prominent civic and political leaders will join to the thousands of Iranian-American community members to condemn unabated executions in Iran, and to denounce Iranian government’s malign role in the Middle East, particularly in Syria, Iraq, Yemen, and Lebanon. 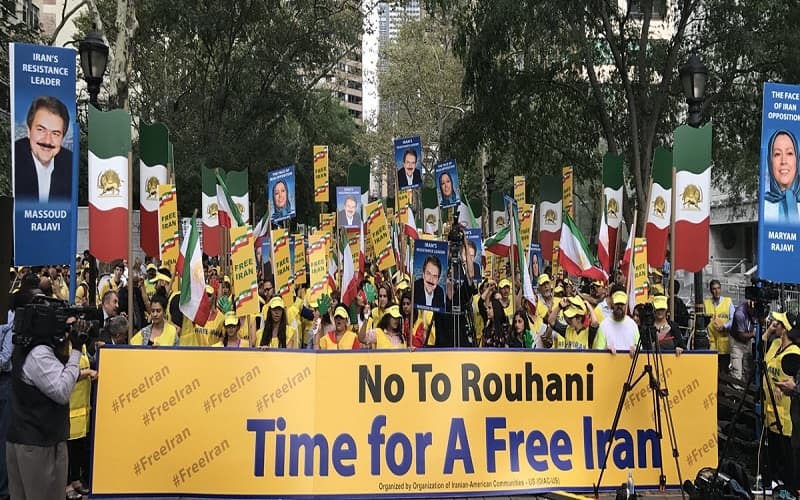 The gathering supports and echoes the rights of Iranian people and their organized resistances for democratic regime change in Iran.